Beautiful You: Sunday Adventures | Waffles & Strawberry Picking! Sunday Adventures | Waffles & Strawberry Picking! Yesterday my sister, my best friend (Chris) and I decided to go on a Sunday adventure! 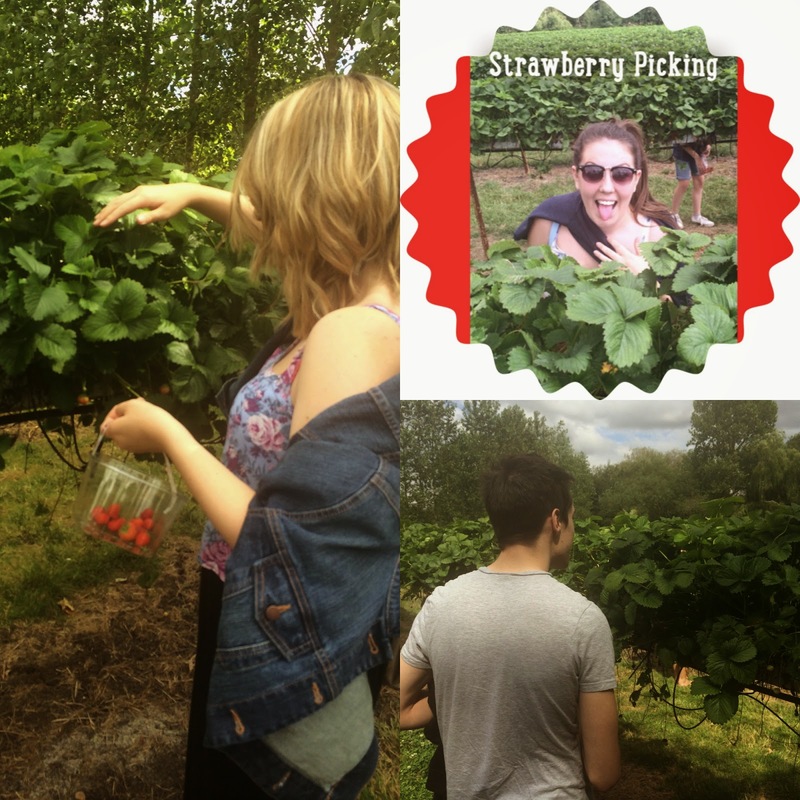 We wanted to get out of the house for a while so we went to Cirencester and then we went to pick strawberries, this was all very impromptu but a good day none the less! 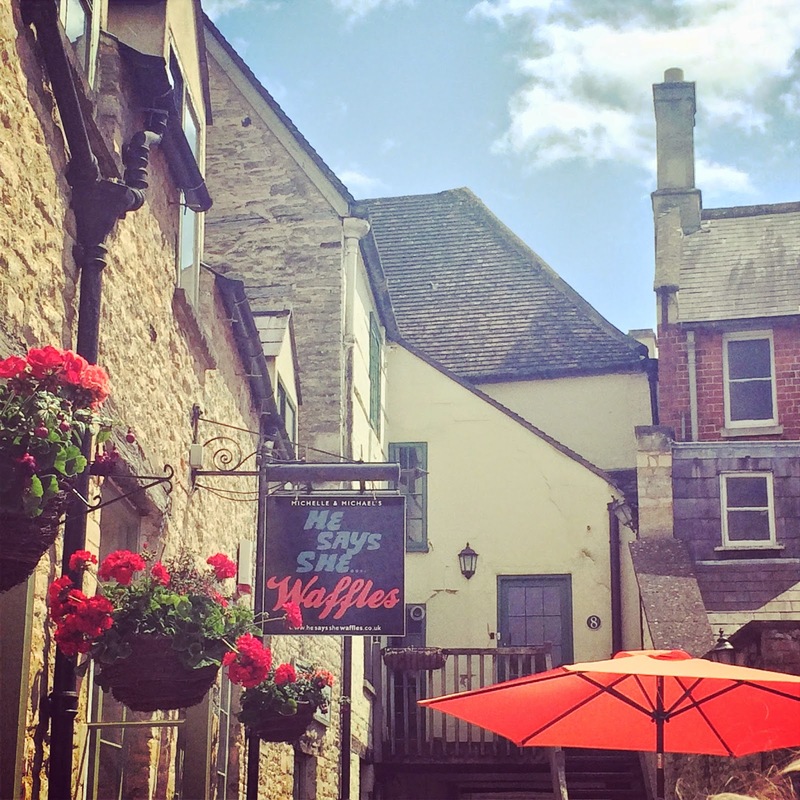 We all used to go to college in Cirencester and we had heard of this amazing waffle cafe so we decided that we were going to go there for lunch. I was a bit sceptical of this because its like eating pudding before you've had dinner but they assured me we were just having a 'sweet lunch'. It wasn't overly warm when we left but while we were sitting and eating the most delicious waffles ever the sun decided to make an appearance which was a bonus! 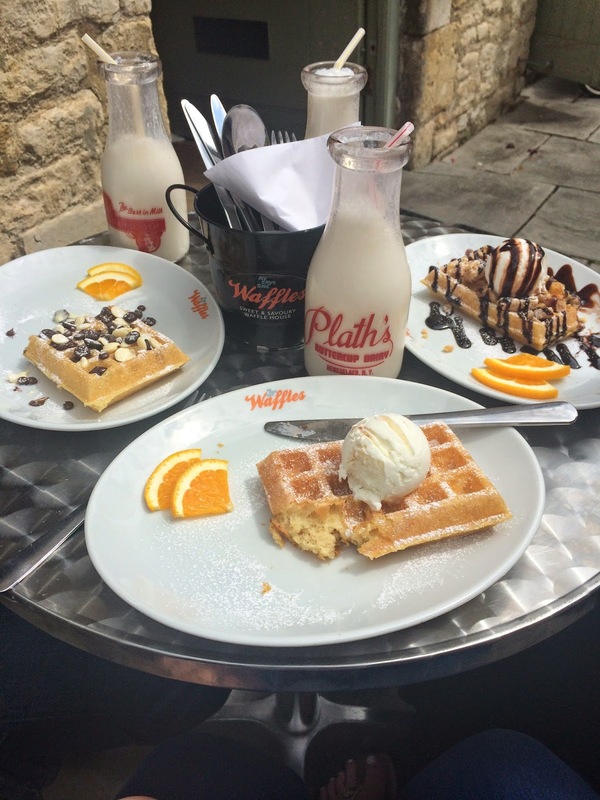 I had a plain waffle with vanilla ice cream, my sister had chocolate fudge waffles and Chris has waffles with chocolate chips on they were all amazing! We also all got milkshakes which they serve in little vintage milk bottles which we all thought was very hipster! Then whilst we were sitting having our waffles Chris decided that we should go strawberry picking, we didn't know anywhere around where we lived where you could do this so we went online and had a look. We found a small farm just outside Swindon called Lotmead where you could go and pick fruit and vegetables, so we made our way there! Once we arrived we found out that you could pick strawberries and raspberries so that's exactly what we did! It was actually a lot of fun and it would make such a good day out if you had children as they had cows that you could watch being fed and a play area! Then the day was topped off with a lovely BBQ with my family and my nan and her husband, who doesn't love a good BBQ! It has been a long time since I have been for a chilled day out like this, I'm always so busy and I thoroughly enjoyed it! I hope you all had a lovely weekend and that you all have a good week. Mine is going to be crazy as I am working back at Next whilst their sale is on and if anyone works for Next you'll know what I mean! Let me know if you got up to anything fun this weekend in the comments and I will see you on Wednesday!